Sustainable Fire Engineering – 2016 End Of Year Report ! 2016-12-28: Happy New Year to One and All ! Organized by FireOx International (Ireland, Italy & Turkey), in joint collaboration with Glasgow Caledonian University’s School of Engineering & Built Environment (Scotland) … and having a widely multi-disciplinary attendance from the U.S.A., Hong Kong SAR (China), Spain, Finland, Scotland, Norway, Germany, England, The Netherlands and Ireland … SFE 2016 DUBLIN was a unique, and very successful, two-day gathering within the International Fire Engineering and Fire Service Communities. The organizers are very grateful to our Supporters: CIB, FIDIC, iiSBE, and the UNEP’s Sustainable Buildings and Climate Initiative … and our Sponsor: Rockwool International. SUSTAINABLE FIRE ENGINEERING fulfils a Critical Role in the realization of a Safe, Resilient and Sustainable Built Environment 4 ALL ! SUSTAINABLE FIRE ENGINEERING facilitates Positive Progress in implementing the United Nation’s 2030 Sustainable Development Agenda, which incorporates 17 Sustainable Development Goals and 169 Performance Targets ! SUSTAINABLE FIRE ENGINEERING fast-tracks Proper Compliance with the 7 Basic Performance Requirements – functional, fully integrated and indivisible – in Annex I of European Union Construction Products Regulation 305/2011 ! A NECESSARY & LONG OVERDUE TRANSFORMATION ! A Building is a permanent construction, complying with basic performance requirements and capable of being easily adapted … comprising structure, essential electronic, information and communication technologies (EICT’s), and fabric (non-structure) … having a minimum life cycle of 100 years … and providing habitable, functional and flexible interior spaces for people to use. Building Users have a wide and varied range of abilities and behaviours … some having discernible health conditions and/or physical, mental, cognitive, psychological impairments … while others, e.g. young children, women in the later stages of pregnancy and frail older people, are also particularly vulnerable in user-hostile, inaccessible environments. Not everyone will self-identify as having an activity limitation because of the high level of social stigma associated with ‘disability’. Building designers and fire engineers must accept that building users have rights and responsible needs ; the real individual and group fire safety requirements of vulnerable building users must be given proper consideration by both design disciplines, working collaboratively together. Real Building Users have a wide and varied range of abilities … and during a Fire Evacuation, they will NOT behave like ‘marbles or liquid in a computer model’ ! People with Disabilities, on their own, account for approximately 20% of populations in developed countries … more in developing and the least developed countries. Following the savage 2008 Mumbai Hive Attack in India, and the more recent 2015 and 2016 Attacks in Europe, i.e. Paris, Brussels, Istanbul and Berlin … it is entirely wrong to assume that the main and/or only targets will be specific high-risk buildings types, i.e. 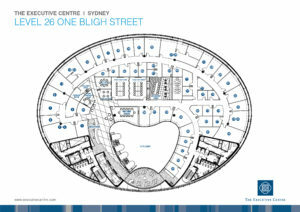 Tall/High-Rise, Iconic, Innovative and Critical Function Buildings (refer to 2005 & 2008 NIST WTC 9-11 Recommendations). 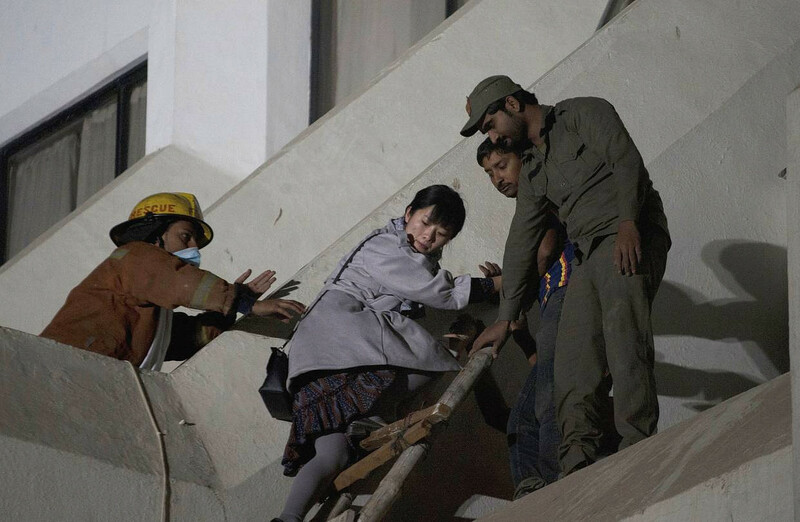 All buildings and adjoining/adjacent public spaces must be carefully assessed for the risk of direct or collateral involvement in an Extreme Man-Made Event. It is a fundamental principle of reliable and resilient structural engineering that horizontal and vertical structural members/elements of construction are robustly connected together. All buildings must, therefore, be capable of resisting Disproportionate Damage. The restriction of this requirement, within some jurisdictions, to buildings of more than five storeys in height is purely arbitrary, cannot be substantiated technically … and ethically, must be disregarded. Fire-Induced Progressive Damage is distinguished from Disproportionate Damage – a related but different structural concept – by the mode of damage initiation, not the final condition of building failure. This phenomenon is poorly understood. But, unless it is impeded, or resisted, by building design … Fire-Induced Progressive Damage will result in Disproportionate Damage … and may lead to a Collapse Level Event (CLE), which is entirely unacceptable to the general population of any community or society. All buildings must, therefore, be capable of resisting Fire-Induced Progressive Damage. All buildings must also be carefully assessed for the risk of involvement in a Severe Natural Event, e.g. earthquakes, floods, landslides, typhoons and tsunamis. In all of the above Risk Assessments … the minimum Return Period (also known as Recurrence Interval or Repeat Interval) must never be less than 100 years. Reacting to surging energy, environmental and planetary capacity pressures … with accelerating climate change … Sustainable Buildings are now presenting society with an innovative and exciting re-interpretation of how a building is designed, constructed and functions … an approach which is leaving the International Fire Engineering and Fire Service Communities far behind in its wake, struggling to keep up. 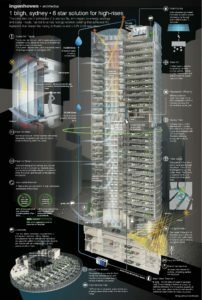 Colour ‘infographic’ showing the design features of 1 Bligh Street, Sydney CBD, Australia … ‘tall’/skyscraper commercial office building, completed in 2011 … designed by Ingenhoven Architects (Germany) and Architectus (Australia). Can Fire Engineers understand this new design approach … and then collaborate, actively and creatively, within the Project Design Team ? 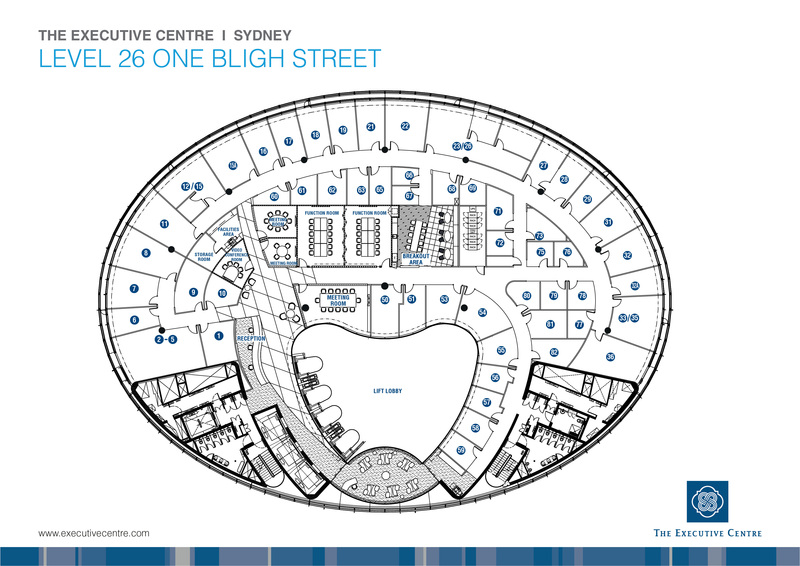 Black and white plan drawing of 1 Bligh Street (Level 26), Sydney CBD, Australia … a ‘sustainable’ office building … BUT … Effective ‘Fire Safety for All’ in this building ? Has Firefighter Safety been considered ?? Property Protection ??? Business Continuity ???? The very harmful Environmental Impacts of Fire ????? Passive and Active Fire Protection Measures, together with Building Management Systems (whether human and/or intelligent), are never 100% reliable. Society must depend, therefore, on firefighters to fill this reliability ‘gap’ … and to enter buildings on fire in order to search for remaining or trapped building users. This is in addition to their regular firefighting function. Therefore, there is a strong ethical obligation on building designers, including fire engineers, to properly consider Firefighter Safety … should a fire incident occur at any time during the life cycle of a building. Structural Serviceability, Fire Resistance Performance and ‘Fire Safety for All’ in a building must, therefore, be related directly to the local Fire Service Support Infrastructure … particularly in developing and the least developed countries. AND … Fire Codes and Standards must always be adapted to a local context ! Colour photograph showing knotted sheets hanging from high-level windows which were used for ‘escape’ by guests … clearly indicating a catastrophic failure of fire protection measures and management within the building. Fire and smoke spread quickly throughout the multi-storey hotel, resulting in 12 dead, and over 100 injured (approximately 1/3 critically). Colour photograph showing a guest rescue by ladder. Notice the condition of the ladder and firefighter protection. Fire safety in a building must be related directly to local Fire Service Support Infrastructure … particularly in developing and the least developed countries. The fire safety objectives of current Fire Codes and Standards are limited, usually flawed … and will rarely satisfy the real needs of clients/client organizations, or properly protect society. 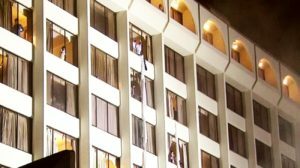 Fire code compliance, in isolation from other aspects of building performance, will involve a consideration of only a fraction of the issues discussed above. There is once again, therefore, a strong ethical obligation on building designers, including fire engineers, to clearly differentiate between the limited fire safety objectives in Fire Codes and Standards … and Project-Specific Fire Engineering Design Objectives … and to explain these differences to a Client/Client Organization. Facility Managers must also explain these differences directly to an Organization’s Senior Management … and directly inform the Organization’s Board of Directors … as appropriate. SFE Mission: To ensure that there is an effective level of Fire Safety for ALL – not just for SOME – in the Built Environment … to dramatically reduce all direct and indirect fire losses in the Human Environment … and to protect the Natural Environment. 4 Key SFE Concepts: Reality – Reliability – Redundancy – Resilience ! To transform Conventional Fire Engineering, as practiced today, into an ethical and fully professional Sustainable Design Discipline which is fit for purpose in the 21st Century … meaning … that fire engineers can participate actively and collaboratively in the sustainable design process, and can respond creatively with sustainable fire engineering design solutions which result in Effective Fire Safety for All in a Safe, Resilient and Sustainable Built Environment. To bring together today’s disparate sectors within the International Fire Engineering (and Science) Community … to encourage better communication between each, and trans-disciplinary collaboration between all. To initiate discussion and foster mutual understanding between the International Sustainable Development, Climate Change and Urban Resilience Communities … and the International Fire Engineering and Fire Service Communities. The realization of a Safe, Inclusive, Resilient & Sustainable Built Environment demands a concerted, collaborative, very creative and widely trans-disciplinary effort at national, local, regional and international levels across the whole planet – Our Common Home. The informed operation of appropriate legislation, administrative procedures, performance monitoring and targeting, and incentives/disincentives, at all of these levels, will facilitate initial progress towards this objective … but not the quantity, quality or speed of progress necessary. Our time is running out ! This Code of Ethics applies … for those who subscribe to its values … to policy and decision makers, and the many different individuals and organizations directly and indirectly involved in the design, engineering, construction, and operation (management and maintenance) of a Safe, Resilient & Sustainable Built Environment for All. The Purpose of this Code of Ethics is to guide the work of competent individuals and organizations in a context where incomplete or inadequate legislation, administrative procedures and incentives/disincentives exist … but, more importantly, where they do not exist at all … and, amid much confusion and obfuscation of the terms, to ensure that implementation is authentically ‘sustainable’, and reliably ‘safe’ and ‘resilient’ for every person in the receiving community, society or culture … before it is too late ! 2. Sustainable Fire Engineering Network … Join the LinkedIn SFE Group at https://www.linkedin.com/groups/8390667. Interested Individuals and Organizations are all very welcome. 3. New CIB W14: ‘Fire Safety’ Research Working Group VI Reflection Document: ‘Sustainable Fire Engineering Design, Construction & Operation’, which will establish a framework for the future development of Sustainable Fire Engineering. Resilient Implementation of SFE Research Agenda.